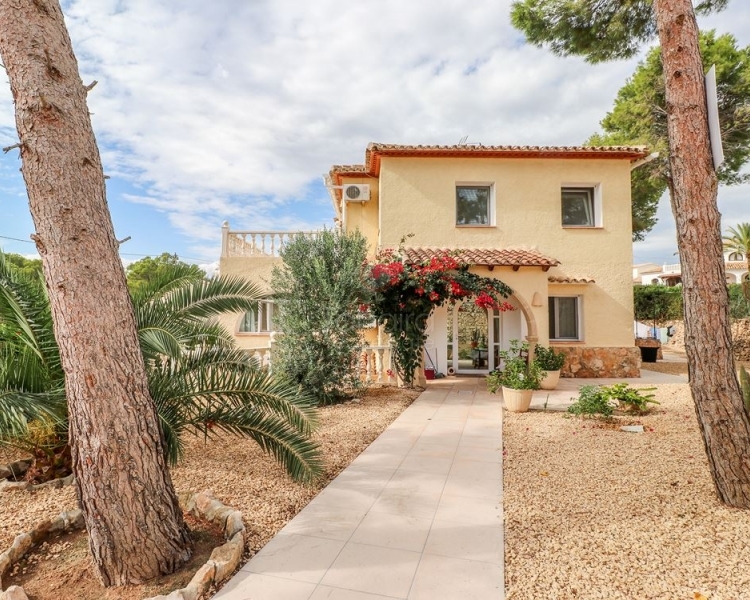 This stunning four bedroom villa is situated in a desirable residential area of San Jaime Moraira and offers panoramic views to the sea, short distance to an array of amenities and high specification finish throughout. 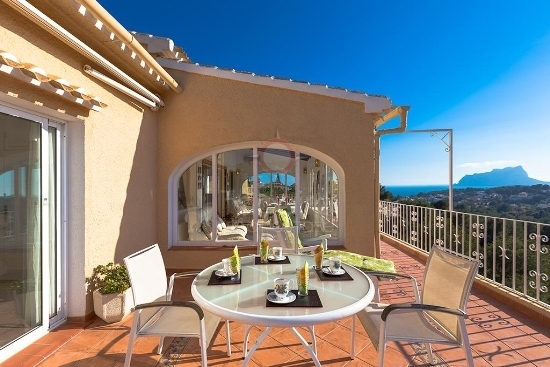 If your dream is to buy a home that has exclusive views of the Mediterranean Sea, we advise you to visit our property for sale in San Jaime Moraira. Moraira is a beautiful corner of the Costa Blanca North of Spain. It has wonderful beaches with transparent and warm waters ideal for enjoying pleasant days with the family. The beaches are prepared with all the necessary services to make you comfortable and safe. For this reason, you will be able to find security and lifeguard service stations, rent umbrellas and hammocks, litter bins, showers, foot washes, wooden walkways to access the beach, etc. The urbanization of San Jaime belongs to the municipality of Moraira. It is surrounding the San Jaime Ifach Golf Club. In this incomparable golf course you will enjoy wonderful views over the sea and the Peñón de Ifach while you spend a pleasant day with your friends. You will also find other services, such as three tennis courts, golf school for beginners, tennis coach, cafeteria, etc. 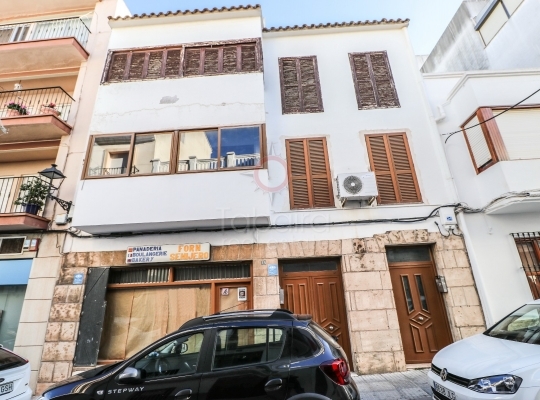 In addition, in this urbanization, which has excellent communication roads with Moraira, you will find all kinds of shops, banks, hairdressers, a shopping center, countless restaurants, etc. Can you imagine yourself on the terrace of your new home observing the beautiful landscape of a golf course overlooking the Mediterranean Sea? 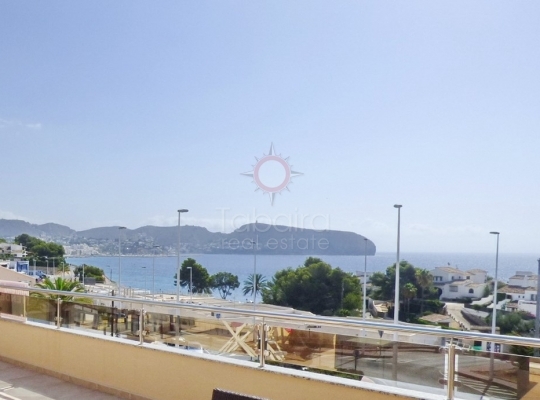 We offer you the property for sale in San Jaime Moraira where your dreams will come true. We have single-family homes of different styles. Some buildings have a modern and contemporary design, others with a more traditional style. In any case, they are beautiful buildings very well integrated in their environment. Now you will have the opportunity to share with your friends beautiful social networks snapshots of the Costa Blanca. The houses have a private plot with swimming pool. Do not give up this spring to relax in the solarium of your new home while you delight yourself savoring an exquisite juice of freshly squeezed oranges. Golf fans find in San Jaime the paradise with which they have always dreamed. The good temperatures of the Costa Blanca, where the sun shines more than three hundred days a year, allow them to enjoy their favorite sport in any season. 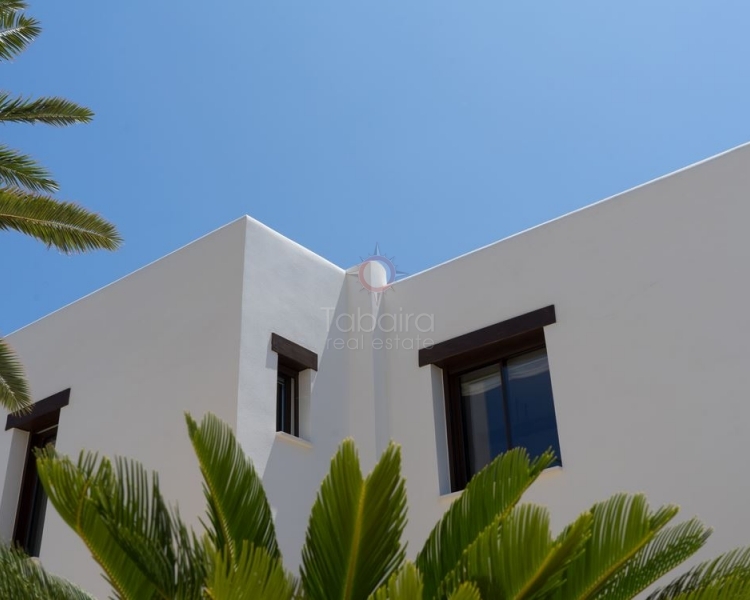 Do not wait any longer and ask us all the details you want regarding the property for sale in San Jaime Moraira that we offer you. We have a team of highly qualified real estate agents who will answer professionally all your questions. If you want to know us better we invite you to follow us on social networks and check our great activity. You can also sign up for our newsletter and we will inform you of all the news. We are waiting for you at our offices located at Calle Iglesia, 4 - 03724 Moraira (Alicante) Spain.